Hi people! This is Kiya from Hyderabad. I own a Honda Brio V AT and I must share my experience with the readers so that they should not take the decision of buying this car at all. This car has let me down regarding its safety features. From the third day since I have bought this car I have suffered a lot. The car’s features have got so much malfunctioning that I had to send it to service center on the third day. Its central locking feature was not at all working. When I asked the company, I was very depressed seeing the attitude they have and the service they give to their customers. It seems that Honda has got a new policy of earning by fooling people. When I had a test drive I didn’t face any problem in the car. At that time the company seems to be very nice with you and when you actually buy the car they treat you like you owe something to them. When I got my car back after few days then its functioning was proper but within a period of few days the car started making irritating noises and when I tried to find out, I got to know that it is the brakes have a screeching noise effect for a few more seconds after they are applied. It was too terrible. Then I felt like selling this car as soon as possible with the series of problem arising in the car or either I should sue the company. The car didn’t even work efficiently for one day. Its Anti theft alarm starts anytime which disturbs not only me but the people of my colony and they complain a lot about it. With these issues I suggest readers to think a hundred times before buying this car or any other car of Honda. 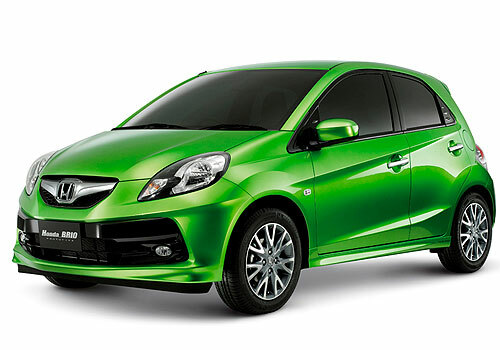 Honda Brio is excellent car with excellent features..